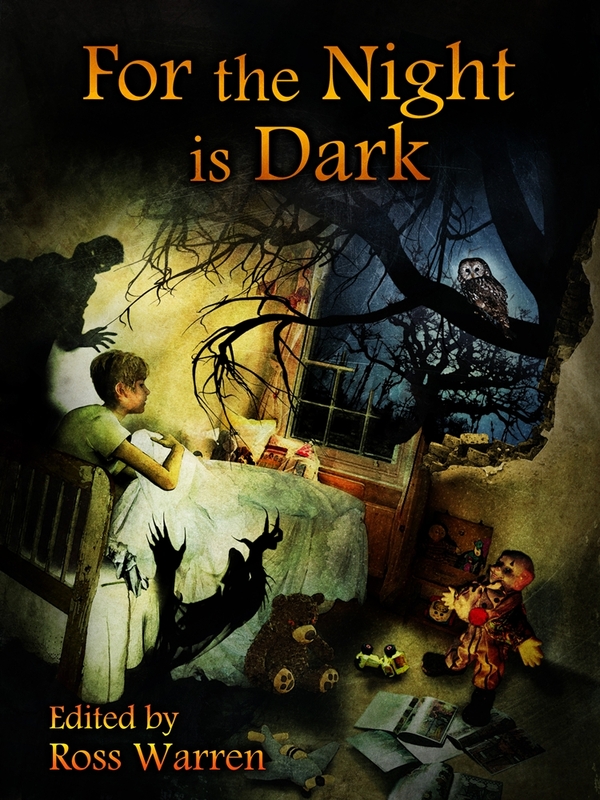 Reading For the Night is Dark was a surprisingly nostalgic event for me – taking me back to a much earlier age, when I would happily digest any anthology of scary stories that I could get my hands on. It may be no surprise, then, that I couldn’t help but feel reverberations of those same stories that I read decades ago coming through in the writing of the twenty writers who contributed to this book, whether it be in the occasionally familiar content of their stories, or the themes that they explored. This latter aspect of the collected works in For the Night is Dark is what I found myself enjoying the most. It was a much needed reminder that horror doesn’t necessarily have to deal in the titillation of blood and gore for the sake of meeting the genre’s criteria (although both are to be found within the book’s pages); but, rather, that horror’s roots lie in the examination of personal and societal anxieties, where the monsters lurking in the dark are just as likely to be an expression of our own fears than anything resembling an actual monster, or ghost. Loss, fear, love, anxiety, lust and depression – these are just some of the emotions given form in For the Night is Dark’s pages. The way that we interact with each other as fellow humans is what’s put under the microscope, with the result being that the darker aspects of our psyches are unable to hide under this scrutiny. Although I can’t say that all of the stories were to my taste, the quality of writing was almost uniformly high. There’s a little vagueness here, a little superficiality there, and a handful of commas that should be full stops scattered throughout (sorry, I can’t help but notice! ), but what ultimately shines through is a pretty sharp little collection of stories written by some authors who have clearly sat down and had a good think about how to explore the idea of what the dark is – and what lurks within. Whether you’re a bit of a nostalgia junkie like me, or just looking for a good collection of creepy stories, For the Night is Dark is well worth a read.